Amanita is a genre versatile DJ and producer who has spread her diverse music through out New Zealand and abroad. From humble beginnings Amanita started redefining her music by submerging her self in the NZ underground and enveloping all the musical resources and lessons that were presented to her. 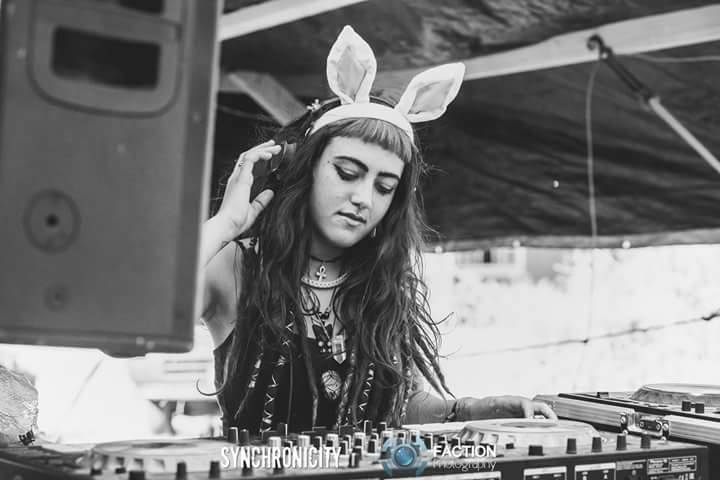 While traveling and experiencing exotic cultures and sounds from her overseas journeys, Amanita has created and collected archive of enchanting psydub, glitch hop and progressive trance styled tracks that create a dream scape journey through some of earths ethnic cultures. Amanita has graced the stage at many out door events such as Twisted Frequencies, Synchronicity, Golden Bass, Cymatic Freqs, Winter Solstice, Dystopia, O3 frequencies and Bush Bash as well as playing in a lot of Christchurch's clubs in her spare time. Amanita quite often travels to Spain where she grew up to generate inspiration and play at local gatherings abroad, her undeniable passion for diverse culture is very predominant in her mixing style and she is drawn to playing at events where cultural diversity is abundant!